One of the most prevalent practices in organizations is taking an existing PowerPoint presentation and converting it into an eLearning course. Converting PowerPoint to online is not eLearning, in my view, eLearning is something that addresses different learning styles and facilitates knowledge transfer through a variety of activities. We have worked on many projects for our clients where we converted their PowerPoint training materials into eLearning courses by following the steps given here under. Adding learning objectives to the course defines what the learner will know or be able to do as a result of engaging in the learning activity. Learning objectives describe what your learners are supposed to know and be able to do after the completion of the course. According to Robert Mager an Ideal learning objective consists 3 components: Performance, Condition and Criteria. In PowerPoint training materials you have many slides just lined up displaying the content. Content in the PowerPoint needs to be organized logically by breaking up it into into course units with topics and subtopics, so that a learner can understand the essential aspects of the course. Most of the PowerPoints contain 50% of what is actually taught to the student, the rest 50% is conveyed by the knowledge and effectiveness of the instructor in the form of examples, stories, elaborations. So, an instructional designer must make sure to cover the missing 50% to give a logical flow to the content. Interactivities should be placed throughout the course strategically to actively engage the learner with the course. 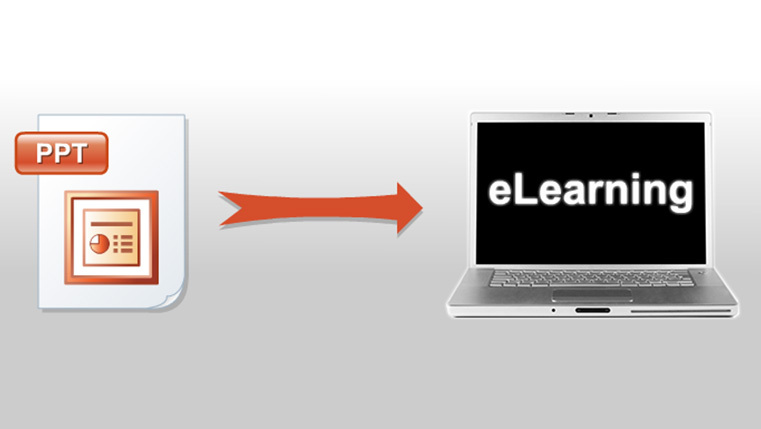 As eLearning is self-paced, engagement of learners with the course becomes imperative. Interactivities can help maintain the interest of learners for longer periods in the course. 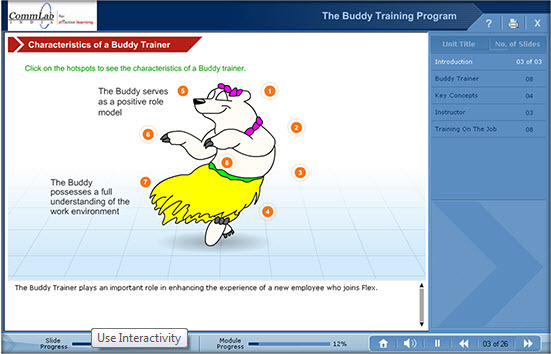 Interactivities include Audio, video, animations, slideshows, click on tabs, graphics and photographs. These Interactivities serve trainees with different learning styles, such as auditory, visual and kinesthetic learning. 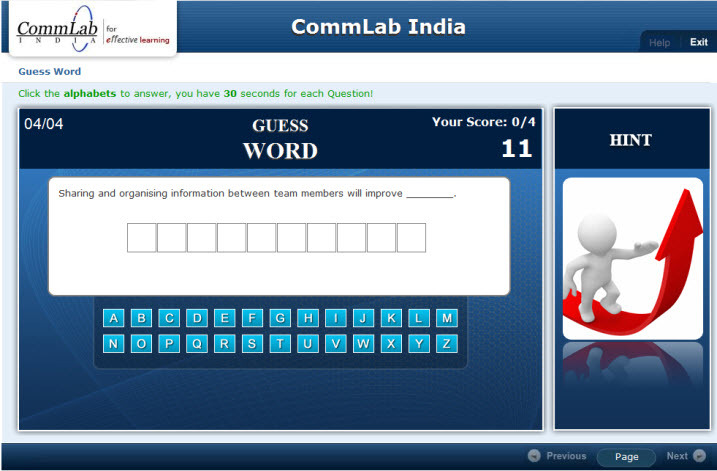 Games in eLearning evoke interest and activate the knowledge in the learner. Gaming in assessments can be fun and challenging as the participants work towards a goal. Games do not ask you to remember any knowledge; rather they provide challenges and feedback on your decisions. This is how you learn in game based learning. Seldom will you find assessments in PowerPoint presentations. This is because an instructor orally asks the questions during the training. When converting a PowerPoint to e-learning, instructional designers must make sure to add assessments to the course to measure learner’s achievement of learning outcomes. This allows to reinforce learning and helps learners to check whether they have understood the content. Assessments are of two types formative and summative. Formative assessments measure the learning achievements and monitor the progress of the learners during the learning process. Summative assessments measure learning achievement at the end of learning, and are evaluative. There are PowerPoint add-in Authoring tools that appears on a special tab on PowerPoint’s toolbar, which can quickly and easily convert PowerPoint presentations, including text, graphics and other activities like quizzes, audios, videos and interactions into eLearning courses. These tools do not demand any knowledge in programming. Some of the prominent tools in the market are Articulate and iSpring. 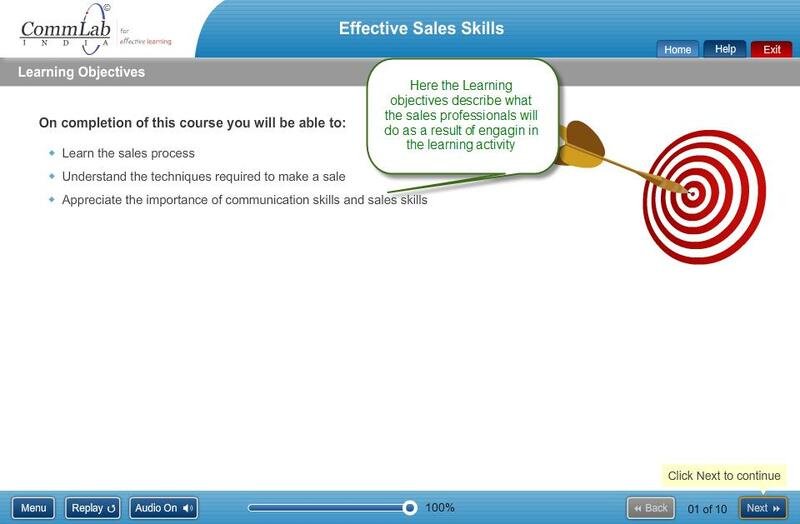 To convert a PowerPoint of 30 slides into an eLearning course using Articulate tool takes around 24 hours for 1 resource This estimation includes audio in eLearning. Those are the steps we follow to convert a PowerPoint presentation into Instructionally-sound eLearning, If you have any tips or solutions you found useful to overcome the challenges of converting your PowerPoint presentations into an eLearning courses, do share them with us.